Meet Laurie and Gavin, an artistic couple living in New York City who married on August 30, 2014, in Wethersfield, CT. 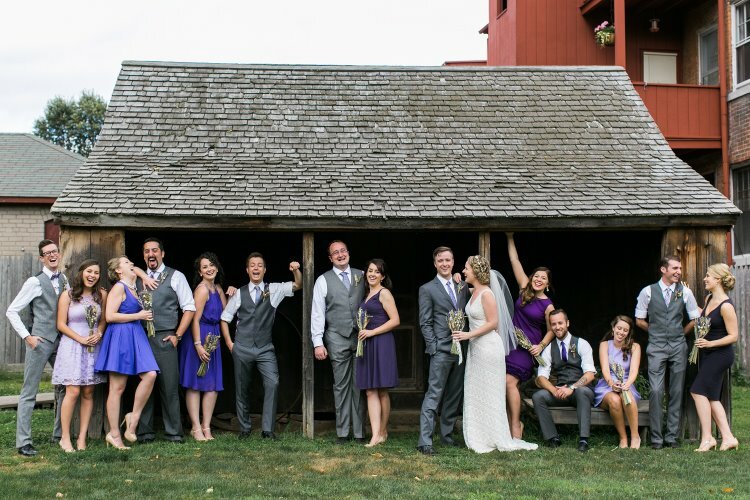 The couple planned a wedding that was as fun and vibrant as their personalities. 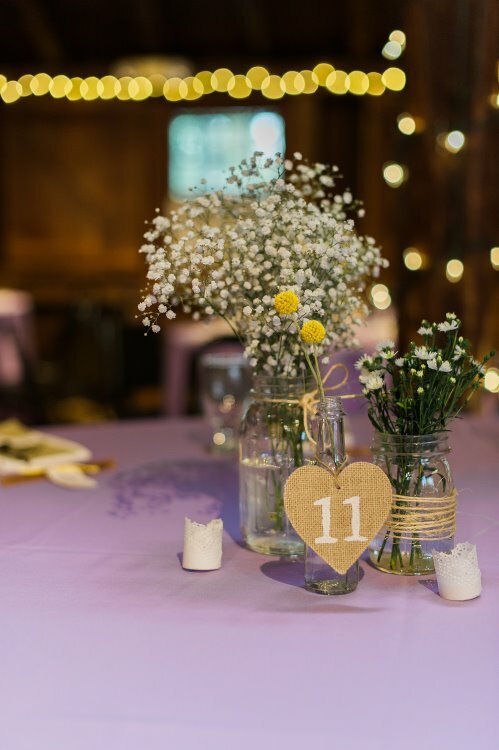 This creative couple incorporated a lot of DIY projects, and plenty of personal and vintage touches were scattered through the ceremony and reception at The Webb Barn in Wethersfield. 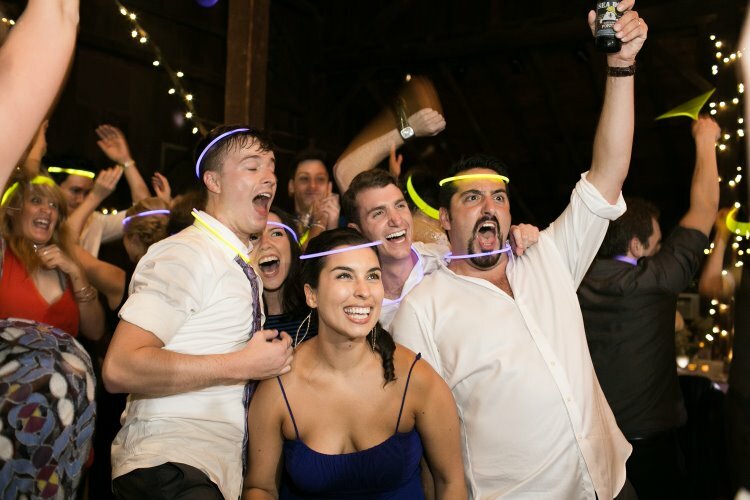 The rehearsal dinner was relaxed and even involved pool time, which set up the laid-back and intimate feel of the entire wedding. When it came time to walk down the aisle, the bridal party, with a background in theater, perfectly synchronized their strides with the processional song. Just as graceful and flawless was Laurie when she met her Gavin at the altar. To end the ceremony, the bridal party danced back down the aisle during the recessional. The personal touches of the reception really brought together this unique celebration, and even the flowers were grown in the backyards of the couples’ families. Laurie and Gavin’s first dance was nothing boring. The couple choreographed a theater-worthy dance that had the guests cheering, and the bridal party joined in on the fun. With lawn games and a cocktail hour, the reception went off without a hitch, though behind the scenes Detaille was there to handle last-minute complications. Cindy showed her impeccable problem-solving skills and resolved the issue without worrying the couple, so they were left to enjoy their magical day, stress-free. 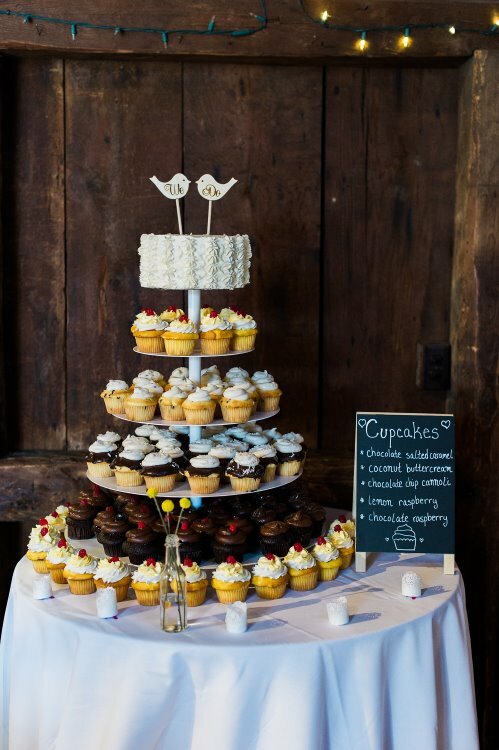 Laurie and Gavin relied on Detaille to coordinate the ceremony and reception in Connecticut, as well as cater to their needs and ensure every detail was perfect. 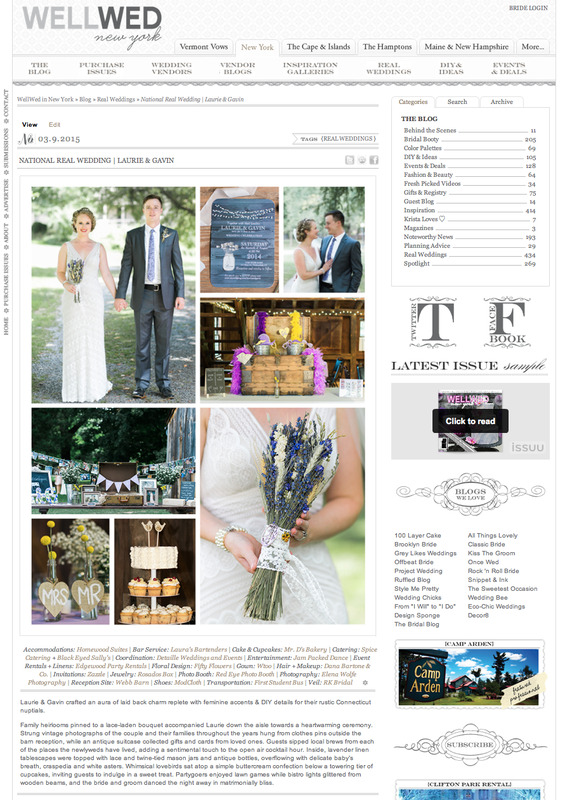 This wedding was featured in Well Wed Magazine, with amazing photography by Elena Wolfe. If you’re ready to plan your dream wedding, stop by our website for your complimentary consultation!